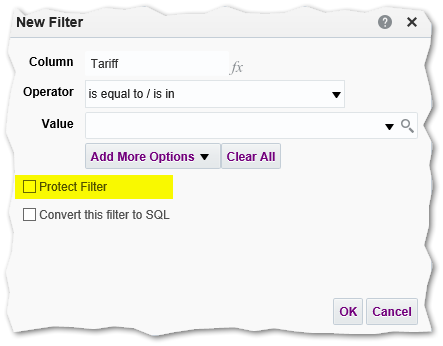 The Protecting Filters Option in Oracle BI or Oracle Analytics Cloud is usually not used or needed. 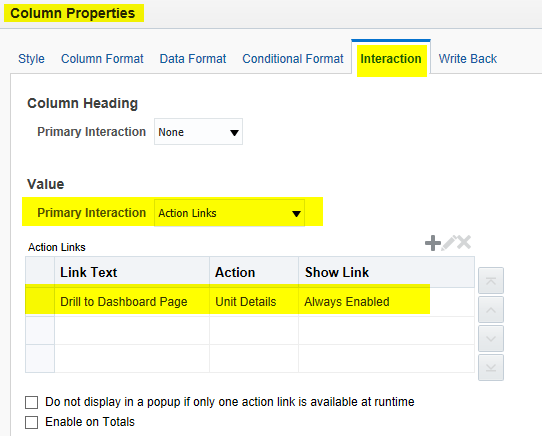 However, it may be required when using multiple Filters on the same Column (Subject area Field) and using Action Links as Drill-down navigation or in conjunction with Dashboard Prompts. Oracles acquisition of Eloqua provides very different possibilities to Marketing Users compared with the classical Marketing solution of Siebel. While Siebel Marketing historically focused on classical offline Campaign channels such as direct mail or phone with enhancements over the Years e.g. e-mail or landing pages, Eloqua is native digital Marketing Solution having support for Channels like Facebook. 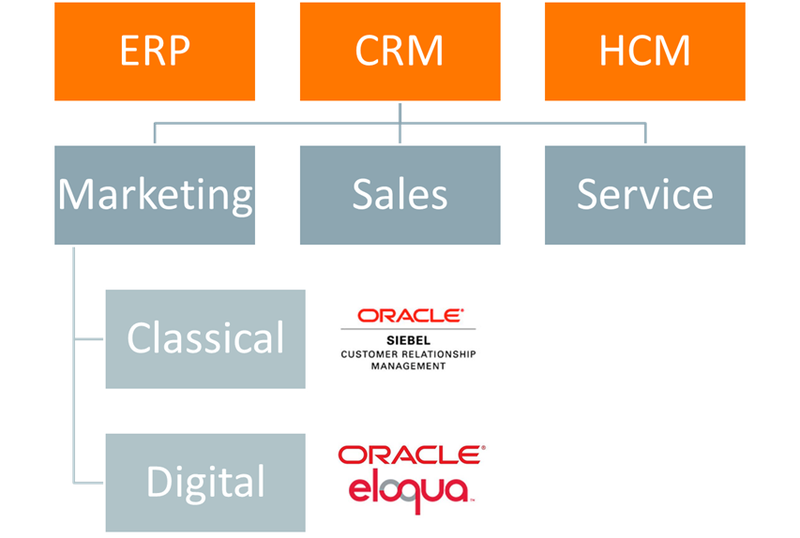 Hence, there is no Oracle Roadmap or statement of direction to replace Siebel Marketing functionality with Eloqua, but rather a model of co-existence where Siebel Marketing should be used for classical Marketing and Eloqua for digital Marketing. A analyst article highlighting the features for Eloqua can be found here. Customers already having Siebel Marketing can use the following process to integrate Siebel Marketing with the Oracle Marketing Cloud (Eloqua). This allows to use the same segments and same customer data to define a target group and execute Campaigns in digital channels provided by Eloqua. Since Siebel Marketing itself uses the Oracle Business Intelligence Server to access the Segmentation data, the same interfaces/process may be used from Eloqua for accessing the same data. 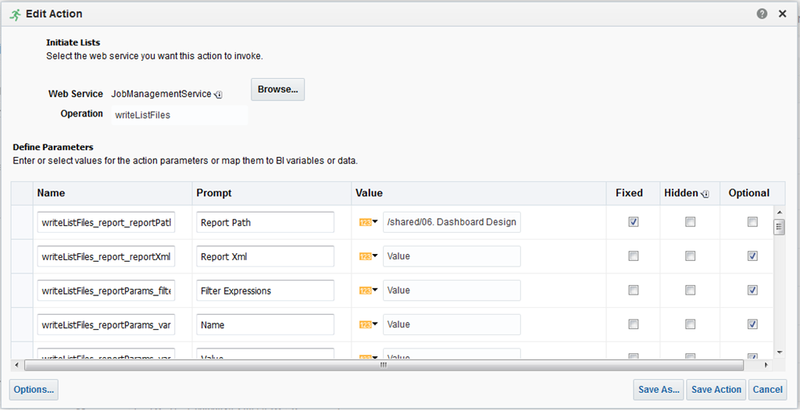 The Oracle Business Intelligence Server offers a web service API described in a previous post which can also be invoked by Eloqua e.g. to use a previously defined Segment in Siebel Marketing. The generated file can then be loaded into Eloqua as the Campaign members. To summarize: Eloqua may be integrated with Siebel Marketing and can access Segment’s defined with Siebel Marketing and access the same data as Siebel Marketing. Eloqua can use the same APIs that are also used by Siebel Marketing provided by Oracle BI to generate a list of campaign members and load these members as target group into a Campaign in Eloqua for executing a campaign in digital channels.